Everything and everyone is mapped, many times over. Satellite views are overlaid with roads, jurisdictions, household income, consumption habits. I love maps, and as a child returned week after week to atlas pages showing language families, climate zones, and dominant religions. One of my most prized possessions a decade ago was a globe made between the world wars, its metal skin softly dented around Central Europe, as if a parental finger had spent hours illustrating the radio news for a worried child. But despite this affection, there is something that does not love a map, and election season wakes it. Those red-blue electoral maps, so pervasive this season, strike me less as a way to learn the world and more as a way of losing it– ironically, losing it by preparing relentlessly to gain it. They are conquerors’ maps, made for campaigns – a word that, for most of its history, meant a military expedition. If they showed topography, it would be only those slopes and high places pertinent to a potential assault. If they showed ethnicity, religion, or language, it would be because those were essential to wielding power – which, in fact, is just why such maps began, in British India and other colonial theaters. Like those maps, the electoral images help to create the divisions they depict, hardening the new ethnicities of red and blue as imperial maps hardened lines of religion and caste. What can we explain with maps? And what do we omit? Perhaps it’s worth it, in this season of natural and political transformation, to pause and wonder what we lose with maps. Sometimes I dream that I run overland from east of the Appalachian Mountains to the Pacific, cresting the Berkeley Hills for my first view of the ocean. In the dream, most of North America is wild, just forests and prairies. San Francisco is there, though, shining across the Bay as I descend Strawberry Canyon, behind the UC Berkeley campus. The continent I cross is unmapped, and though I have some idea of its shape, I just make for the west. Whether their topic is politics or something completely different, maps organize the sense of space. By giving us one way of seeing, they eclipse others. With a map in hand, you miss the surprise conjunction, the discovery that some place is right up against another that you had never matched with it – through an alley or gate in an old city, for example. Maps also negate the mysterious spot that we can admire in its detail with no need to connect it with our larger picture of the world. I carry images, gathered from an airplane window, of a landscape of Rocky Mountain peaks and valleys, of the long dirt roads that lead up-canyon to broad, green slopes tied by ridges to stone spires and snowfields. I cannot say where this place is, not even in which state. I don’t know what time it is there, or whether it is red or blue. These losses are the cost of orientation. Maps hold off the experience of total bewilderment – the dazed, circle-walking dislocation that shares its second syllable, and its root, with wilderness. But there’s a deeper cost in escaping bewilderment. The price of having basic orientation always at hand is giving up the intense engagement with terrain that comes from realizing you have no fallback, that you know only as much as you can see or hold in your mind. In Arctic Dreams, Barry Lopez describes Inuit who, having never seen a map, can draw scores of miles of ragged coastline with cartographers’ precision: sometimes, being without a map is a way to have, as living knowledge, what a map fixes and freezes so that the mind never has to inhabit it. It might seem that the information is just as useful fixed for ready use, but the map costs us the full awareness that comes with having no scale-model image to fall back on. This is somewhat like relationships with other people, in which we work to get out of scripts and steer instead by educated instinct and attention to the moment. When Thoreau famously claimed that wilderness contained “the preservation of the world,” he meant this map-less quality of attention. It was the ability to encounter places in this way that preserved them as “the world” – a living place connected at a thousand points with one’s vitality. The world was not a thing, not even a place, but the product of how the mind came together with each place and moment – with the alertness that came with the wild, and the constant hazard of bewilderment. The blue line that marks A-to-B routes on a phone perfects this vexed distillation of experience into functional but abstract information. Although, like anyone, I appreciate it when I need it, following such a map still reminds me of philosopher John Searle’s Chinese box. Searle argues against the Turing test, the idea that artificial intelligence will be real when a computer program can carry on a conversation indistinguishable from a human exchange, by the following example. Imagine sitting inside a box with a complicated set of instructions. Whenever someone slips into the box a sheet of paper with Chinese characters, you write out another set as instructed and hand back the paper. With rich enough rules, you can carry on a conversation that strikes a native Chinese speaker as perfectly natural. However, the characters you write are just pen-strokes to you. Do you know Chinese? Searle says no. In the same way, I can travel point-to-point from Chapel Hill to New Haven and not know the way. I can be a perfect navigator but, in Thoreau’s sense, have lost the world. Without ever choosing it, I have learned to treat the red and blue swaths of the electoral map as almost natural. This takes a little extra getting used to, because red and blue are seldom together in nature. The red-throated bluebird is an exception, but its throat is more a fuchsia than the color of the bloody sirloin cut that runs from South Carolina to Idaho by way of Texas and the Great Plains. The kingfisher is rustier, its red like old blood, but it is the nearest thing to an avian electoral map: it is possible to imagine the lower 48 as a heavy-bodied specimen with its little pulse throbbing in or near Newport News, VA and its cloaca at the California-Arizona border. Generally, though, from birds to mushrooms, red and blue keep apart. Of course, it isn’t because of plumage that the electoral map implies that, these days, Americans fit together poorly and against the tendency of things. The maps do that. They combine enormous sophistication – think of Nate Silver’s celebrated Model – with brutal simplification – one state, one hue, red or blue. They refine a single application of a single aspect of a single kind of knowledge to a razor’s edge and pivot a whole place on it. And, like the imperial borders and rigid lines of caste and tribe that conquerors have often used to make their prizes manageable, they help to create a simplified reality. Sometimes, the reverse is true. The right map fills out an integrated picture of a landscape. For me, walking with a topographic map, or using one to revisit a day’s hike, organizes the arcs and folds of a place, in a way that I always feel I am inhabiting as I envision it: my mind’s eye stitches together the present or remembered vista with the map’s contour lines and elevations, always from the standpoint of standing someplace. Frequently, though, a map works by answering the simplified way we move, as when we cross a city on elevated roads, in lines akimbo to all the space beneath it, connected in no rich or subtle way. Our politics uses language and feelings as we often use land – instrumentally, flipping between hyper-focus and opacity, with high stakes that often seem invisible to those who make the choices. Our political maps, then, are no anomaly. With that in mind, this blue voter from a red state wishes for a walker’s map of politics, a chance, in this script-hobbled combat, for a little bewilderment. This is not a sentimental wish that politics could be nicer, that we could all be purple together. It isn’t a broadside against maps, either. 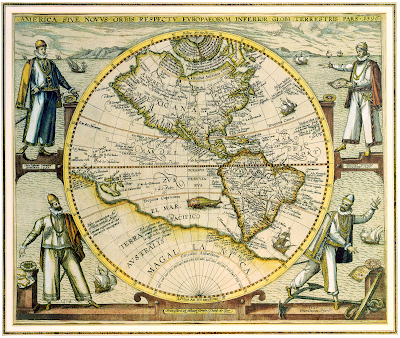 Maps are both tools of action and means of contemplation. But the problem here is that how we train ourselves to see is intimately linked with what we are able to do. Electoral maps make very precise the conduct of politics by a received set of rules. But to understand anything means in part to understand how it can become something else – coal to fire, grain to cornstalks, ore to steel, lines of text to an algorithm. This is especially urgent in politics, which is one of the ways that people, together and without violence, change themselves from one thing into another – toward a more perfect union, as some people said one time. Maps don’t make the world, but how they portray the one we have made teaches us more than we know. Organized money and other smart but raw kinds of power made the politics that the electoral map shows. The map, and the way it invites us to think of ourselves and address one another, confirms the world they have made and leaves us less likely to act as if another world were possible. Posted in The Wide, Wide World and tagged Campaigns, Election Maps, Elections, Electoral College, Globes, Innuit Maps, John Searle's Chinese Box, landscape, Maps, Nate Silver, politics, thoreau. Bookmark the permalink.